Are you looking to join a fast growing international and impact driven startup, work in a flexible environment, and be surrounded by a young and diverse team? Seedstars is a global organization with headquarters in Switzerland and a presence in 70+ emerging markets. We are on a mission to impact people’s lives in emerging markets through technology and entrepreneurship. Our initiatives are focused on connecting stakeholders within these ecosystems, building tech companies from scratch and investing in the top entrepreneurs. Seedspace (www.seedspace.co) is the fastest growing network of coworking and coliving spaces in emerging markets. Our current Partner hubs are spread across 4 continents, 18 countries and 22 cities – and we are growing fast. Community: Participate or organise useful events, meet and collaborate with new clients & friends, access to member benefits and a global network of mentors, investors, corporates and more. Coliving: Short to midterm room rental for digital nomads, coworkers or, travellers looking for a life & work package in a friendly and dynamic environment. 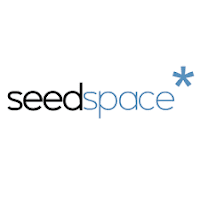 Your main objective will be to build a local community of Seedspace users and to deliver quality service and well maintained facility to coworkers and colivers of Seedspace. Ensure the day to day operations of both coworking and coliving. Keep platform listings updated, respond inquires, make sure the rooms are ready and meet the quality standards. Manage guests check-in, check-out, respond messages and follow procedures. All necessary paperwork for Seedspace operations, such as daily TRA Z – reports and filling. Support the Community Manager with the execution and hosting of events in the space.